Microsoft just launched its new Lumia 540 Dual SIM Windows Phone, that features a 5-inch HD display and an 8-megapixel rear camera. For $150, you also get a 5-megapixel front camera, 8GB of onboard storage and 30GB of free OneDrive cloud storage. 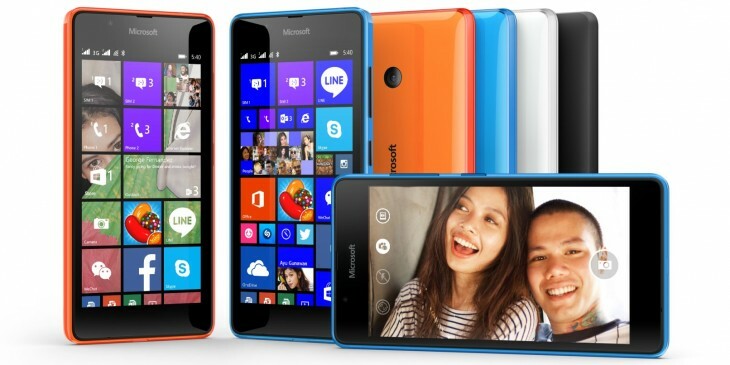 The device comes with Windows Phone 8.1, along with the Lumia Denim update. The Lumia 540 is powered by a quad-core 1.2 GHz processor, along with 1GB RAM. It also includes a microSD slot that supports high-capacity cards for up to 128GB of extra storage, and a 2,200mAh battery that promises nearly 15 hours of talk time. Sadly, it’s 3G only, and that makes it a bit of a hard sell when compared to similarly priced Android devices that offer better specs and 4G support. However, it will get an upgrade to Windows 10 when the OS is launched, so this is a cheap way to get a taste of Microsoft’s unified platform. The device will roll out early next month across markets in Asia and Africa, in glossy cyan, orange, white and matte black.